﻿ Blind Flanges, SS ANSI B16.5 BLRF Flanges Exporter. 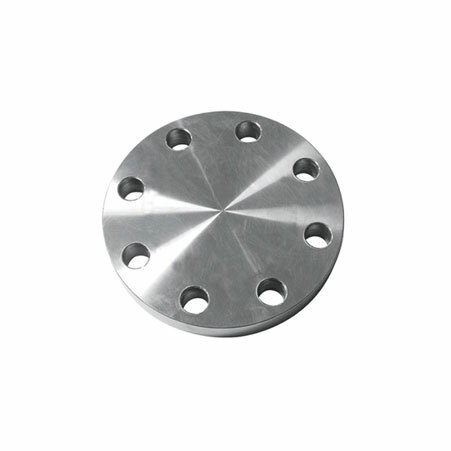 MSS SP44 Blind Flanges, ANSI / ASME / BS / DIN / EN Blind Flanges Manufacturer, ASME / ANSI B16.5 Blind Flanges, BLRF Flanges Supplier In Worldwide. We, at Amco Metals, cultivate and nurture quality and innovation and direct them in our products through continuous efforts and quality control. We service our customers a premium quality product profile, assisting them to choose a suitable one for their industry. We are an ISO 9001: 2015 certified company, dedicated to building and sustaining customer oriented engagements. We are a manufacturer, trader, stockist, supplier and exporter of Blind flanges that are fundamental to join, pivot and strengthen a piping network by providing strong reinforcements and leak proofing pipelines. Our Titanium Blind flanges have high commercial value in the aerospace, marine, architecture and medical industry as they are highly ductile and formable. 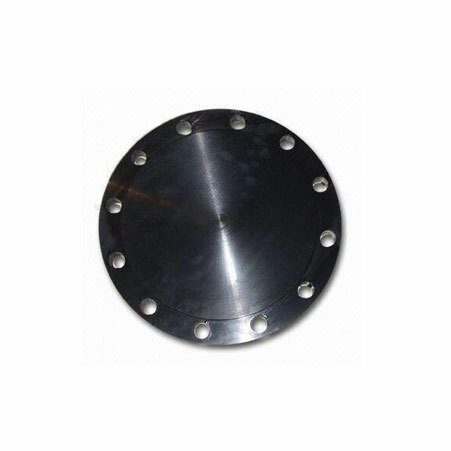 We offer Hastelloy Blind Flanges to the high pressure application industries like oil & gas and chemical production companies. Stainless Steel Blind Flanges Manufacturer, Duplex Steel BLRF Flanges Exporter, Alloy Steel Blind Flanges, Hastelloy Blind Flanges Supplier In India. 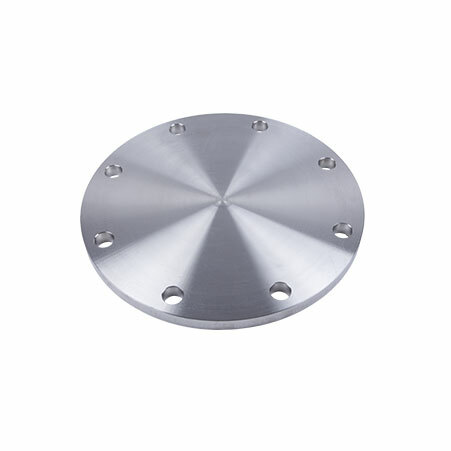 Nickel Alloy Blind Flanges : ASTM SB564, SB160, SB472, SB162 Nickel 200 (UNS No. N02200), Nickel 201 (UNS No. N02201), Monel 400 (UNS No. N04400), Monel 500 (UNS No. N05500), Inconel 800 (UNS No. N08800), Inconel 825 (UNS No. N08825), Inconel 600 (UNS No. N06600), Inconel 625 (UNS No. N06625), Inconel 601 (UNS No. N06601), Hastelloy C 276 (UNS No. N10276), Alloy 20 (UNS No. N08020). Copper Alloy Steel Blind Flanges : ASTM SB 61 , SB62 , SB151 , SB152 UNS No. C 70600 (Cu-Ni 90/10), C 71500 (Cu-Ni 70/30), UNS No. C 10100, 10200, 10300, 10800, 12000, 12200. Angola, Iran, Hong Kong, Malaysia, Chile, Nigeria, Gabon, Bangladesh, South Korea, Zimbabwe, Yemen, Saudi Arabia, United Arab Emirates, Ukraine, Egypt, Croatia, Morocco, Costa Rica, Lebanon, Australia, Slovakia, Mexico, Belarus, Russia, United States, New Zealand, Poland, Jordan, Singapore, Belgium, Trinidad & Tobago,Tunisia, Puerto Rico, Czech Republic, Oman, South Africa, Gambia, Hungary, Ireland, Algeria, Iraq, Sweden, Germany, Argentina, Poland, Serbia, Libya, Qatar, Philippines, France, India, Spain, Kenya, Nepal, Indonesia, Romania, Bolivia, Switzerland, Bahrain, Nigeria, Venezuela, Turkey, Canada, Mongolia, Lithuania, Greece, Iran, Azerbaijan, Afghanistan, Brazil, Taiwan, Kuwait, Macau, Japan, Tibet, Ghana, Denmark, Sri Lanka, Finland, Kazakhstan, Portugal, Norway, Austria, Vietnam, China, Estonia, Chile, Colombia, Bulgaria, Peru, Ecuador, United Kingdom, Israel, Netherlands, Bhutan, Italy, Pakistan, Mexico, Namibia, Thailand. Granada, Ahvaz, Al Jubail, Doha, Perth, Chandigarh, La Victoria, Jamshedpur, Rajkot, Ranchi, New Delhi, Nashik, Calgary, Coimbatore, Muscat, Bengaluru, Navi Mumbai, Melbourne, Colombo, Riyadh, Mexico City, Howrah, Vung Tau, Haryana, Lagos, Ulsan, Dallas, Pune, New York, Bhopal, Mumbai, Hanoi, Jaipur, Busan, Ernakulam, Faridabad, London, Thane, Jeddah, Sydney, Petaling Jaya, Courbevoie, Ahmedabad, Los Angeles, Jakarta, Montreal, Thiruvananthapuram, Dammam, Hyderabad, Caracas, Atyrau, Aberdeen, Edmonton, Al Khobar, Houston, Sharjah, Chiyoda, Baroda, Algiers, Geoje-si, Cairo, Ankara, Bogota, Madrid, Moscow, Ludhiana, Milan, Bangkok, Rio de Janeiro, Kuwait City, Indore, Pimpri-Chinchwad, Kuala Lumpur, Chennai, Surat, Visakhapatnam, Nagpur, Istanbul, Lahore, Kanpur, Vadodara, Port-of-Spain, Singapore, Tehran, Gimhae-si, Abu Dhabi, Secunderabad, Hong Kong, Seoul, Brisbane, Noida, Dubai, Santiago, Karachi, Ho Chi Minh City, Kolkata, Gurgaon, Manama, Toronto.